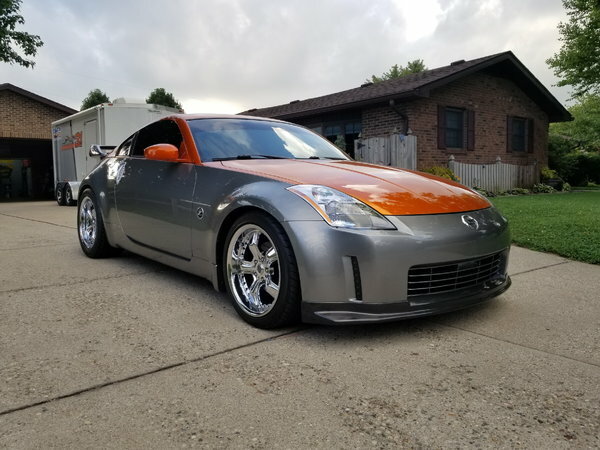 This 350Z is a head turner. I have owned this car for five years and only put a couple thousand miles on it. It only gets driven on nice days. The car as we bought it started out as a clean gray stock 350Z. We had the car professionally panted and we added new wheels, tires carbon fiber etc. The car has a K&N cold air intake and Cat back Exhaust. In addition I added allot of new parts as the car was apart and being painted. The car is tight and drives well and also gets good mileage. I will only reply to phone calls. For more info give me a call. NO TRADES SO DON'T ASK!!! !